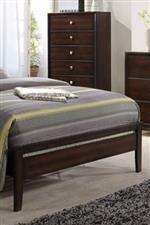 Add sleek style to your bedroom with this accommodating storage chest. Featuring five drawers adorned with exquisite knob hardware, the chest is completed with a brown finish. 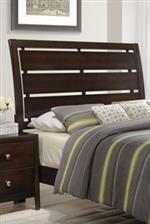 Highlighting transitional design, this piece will meet your bedroom storage needs. The 1017 5 Drawer Chest by United Furniture Industries at AHFA in the area. Product availability may vary. Contact us for the most current availability on this product.